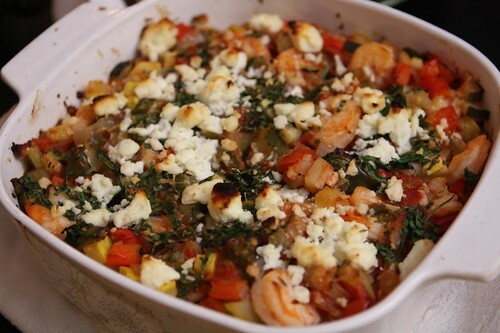 Saturday night Jen and I rushed home and made a shrimp casserole for some friends. We only had thirty minutes to do it so the heat was on! I worked on my new patented technique for defrosting which involves sitting food in a chair under a high-powered fan. It works surprisingly well and I had the shrimp defrosted in about 10 minutes. While they defrosted I chopped garlic, onion, bell pepper, and zucchini then Jen cooked them in the pan with some tomato, salt, and pepper, all while the basmati rice cooked. To have some shrimp with some boys! We put a layer of rice in the bottom of the dish, added the shrimp to the vegetable mixture, then topped the rice with that and threw it in the oven and ran out the door. Rachael Ray has a lot to learn from us. 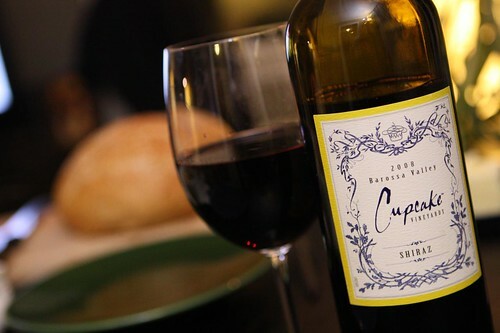 We actually skipped beer tonight and poured this Cupcake Shiraz that my parents brought over a long time ago. They brought two bottle and some beer and this is the last of their generous gift. I can't remember exactly when it was but it was a while ago. Probably not in 2008 as the label states but a while ago anyway. 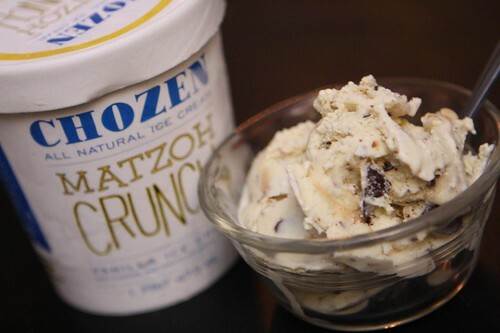 To continue our barely noticeable celebration of Rosh Hashanah we had this Matzoh Crunch ice cream from Chozen. Since I hadn't had the opportunity to make any actual matzoh crunch this year (one of my favorite dessert items in the entire world) we went with this ice cream version instead. The ice cream is fantastic and I'd highly recommend it to you if you're looking for a nice way to round out a shellfish-based dinner for the Rosh Hashanah holiday.